I like the FOV-thingy, kinda reminds me of one of the really old DOS-games I played as a kid. I also likes the musical score. Awesome game. Love the way the story is told. Love the dynamic lighting. Rune Hunt is a fantastic piece of work. I also want to thank you for the detailed account of your efforts to get sponsorship. Fascinating reading and a great effort on your part. 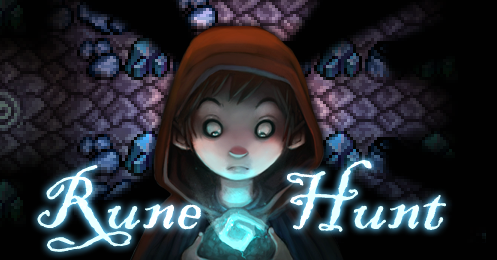 Just played a bit of Rune Hunt and I gotta say: Great job! The game design and story are polished and interesting; the dynamic FOV and shadows really creates a cool atmosphere. Very nice game. Great atmosphere. The (two) ending(s) was a bit of a let down, though : more explanations and a more rewarding ending would have made it perfect. Thanks for your work!